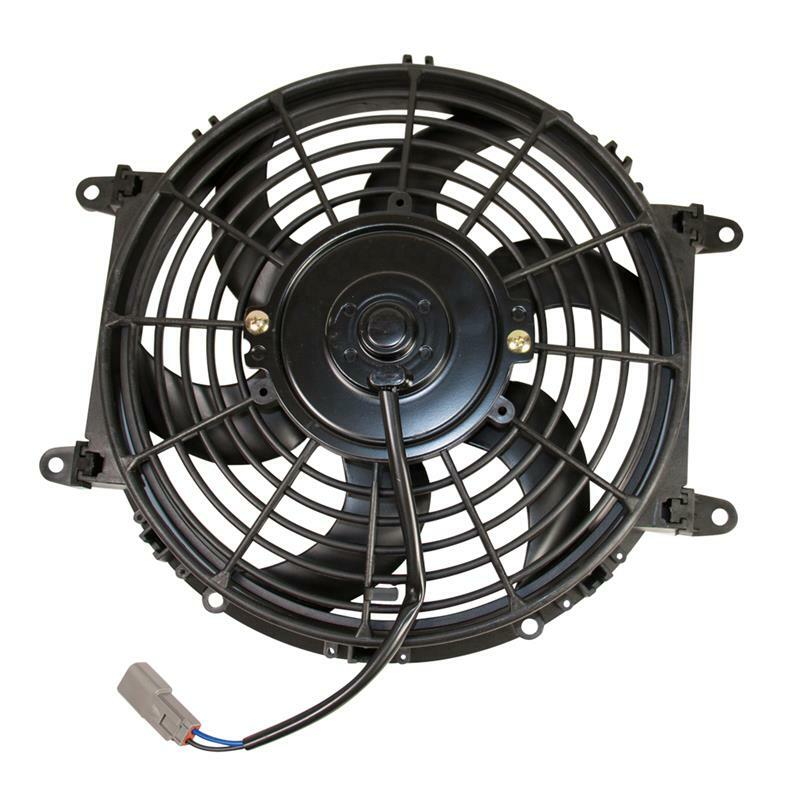 BD Diesel Universal Transmission Cooler Fan UNIVERSAL - Dezod Motorsports Inc - Home of the automotive performance enthusiast since 2002. 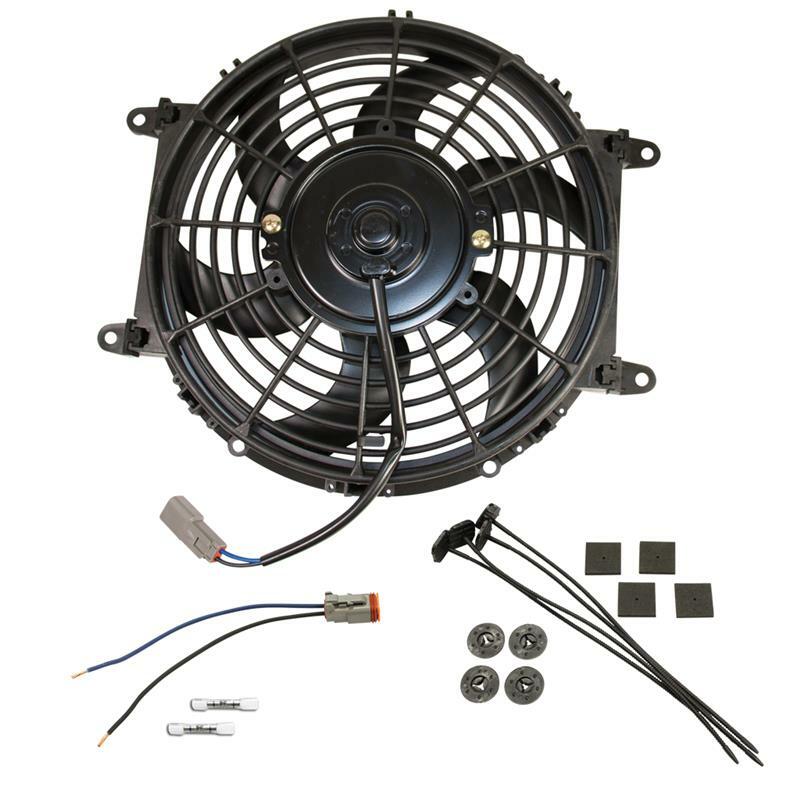 This unit is a quality high value fan that uses a 10” advanced curved fan blade for higher performance and quieter operation. Perfect for any automotive application. Can be used for radiators or any other auxiliary cooling operation where air flow is essential. 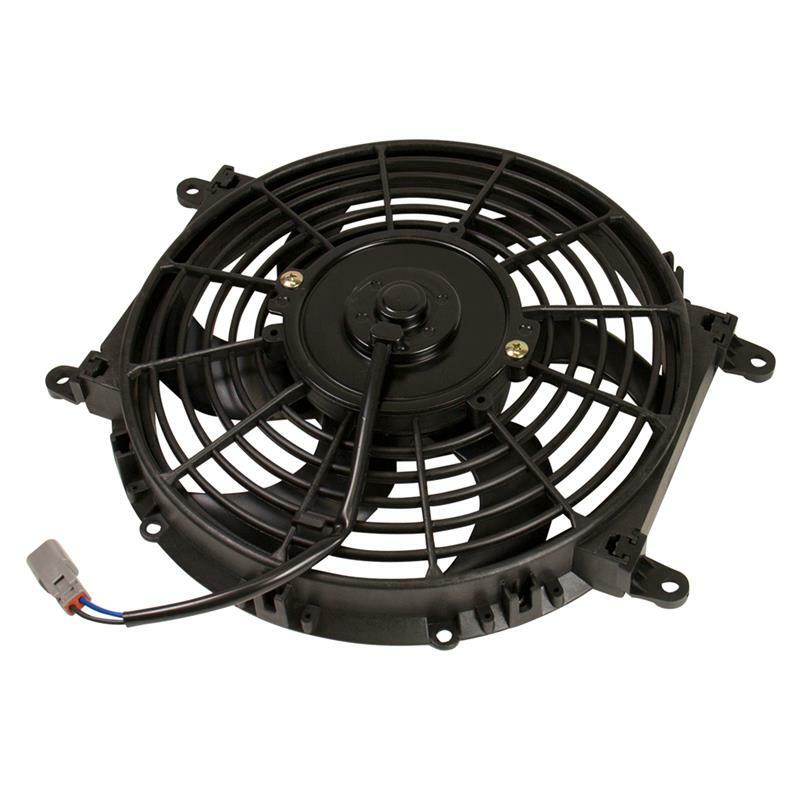 Motor is rated for 80W at 12 Volts and is IP54 rated with a 65% duty cycle. Easily converts from a pusher to pull fan, with a simple rotation of the fan blade and reversing of the power polarity.